Mobile Toilets For Tourist Destinations from Convenience Services Ltd. If you are involved in the management of an outdoor tourist destination, the provision of a good quality mobile toilet block is an ideal addition for customer satisfaction and comfort. We work with a wide range of organisations supplying outdoor toilet blocks. 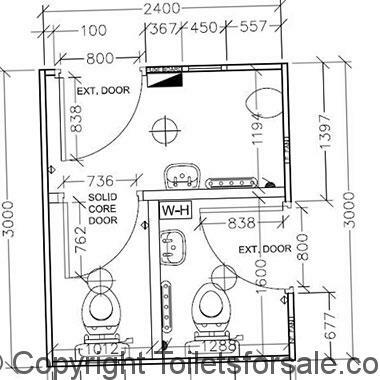 Whether you know exactly what you need or if you require help with design and planning, we are on hand to assist you and make sure you end of with the most appropriate outdoor toilet solution for the environment. This includes any ground work, liaising with mains contractors for installation, or the design of eco-friendly toilet blocks that are more self-sufficient for ongoing costs. This includes compostable toilet units and solar panel installation for energy. If you are looking for a mobile toilet for your tourist destination, contact us today on 0800 138 9246 or fill in our enquiry form.